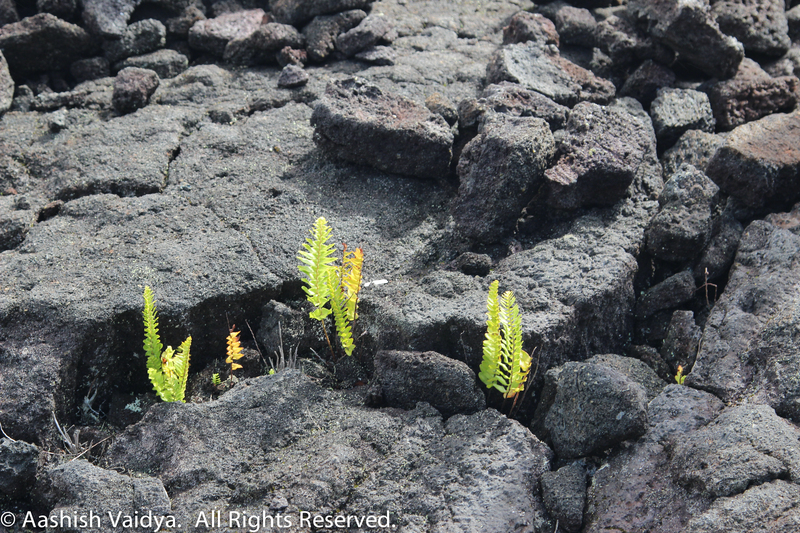 Fern growing on lava rock. Hawaii Volcanoes National Park. Time can turn grapes into wine perhaps. Where do they dole out epiphanies? Tell me, I’d stand in line perhaps. Couldn’t we rewind and realign perhaps? While truth reclines and lays supine, perhaps. Mistakes happen, that, you must divine perhaps! Still afraid though the act is sanctioned? Rendezvous in a manner that’s clandestine perhaps. If it seems real, than let ’Mirage’ opine perhaps. Continuing with the ghazal form in English. A friend, a poet, had suggested that in English, having the refrain (radiff) as the first word of the line and the rhyme (qafiiyah) ending the line, seems to work better. Initially, I tried couple of couplets this way. Here is how the whole ghazal reads. But, I ended up liking the rhythm and the sound of the traditional format better. Perhaps, if you’d tell me, I’d stand in line. Perhaps we can rewind and realign. Perhaps, truth reclines and lays supine. Perhaps, mistakes happen, that you divine. Perhaps, rendezvous in a manner that’s clandestine. Perhaps, if it seems real, than let ‘Mirage’ opine. Tell the GPS to get lost. Meander, wander and perform hijinks on the way down. Before the falls, witness on black basalt, how green fern, moss and epiphyte lichen clings on the way down. Before the reign of melodies and symphonies, cacophony rules and sings on the way down. Marcus must have splayed at Lincoln High, imperfect Patones on aquarelles and made mundane canvas coatings, on the way down. Someday a masterpiece may not be a ‘Mirage’. For now, suffice with mediocre musings and wordings on the way down. If we listened to our intellect we’d never have a love affair. We’d never have a friendship. We’d never go in business because we’d be cynical: “It’s gonna go wrong.” Or “She’s going to hurt me.” Or,”I’ve had a couple of bad love affairs, so therefore . . .” Well, that’s nonsense. You’re going to miss life. You’ve got to jump off the cliff all the time and build your wings on the way down. The reference to Lincoln High alumnus Marcus can be found here. 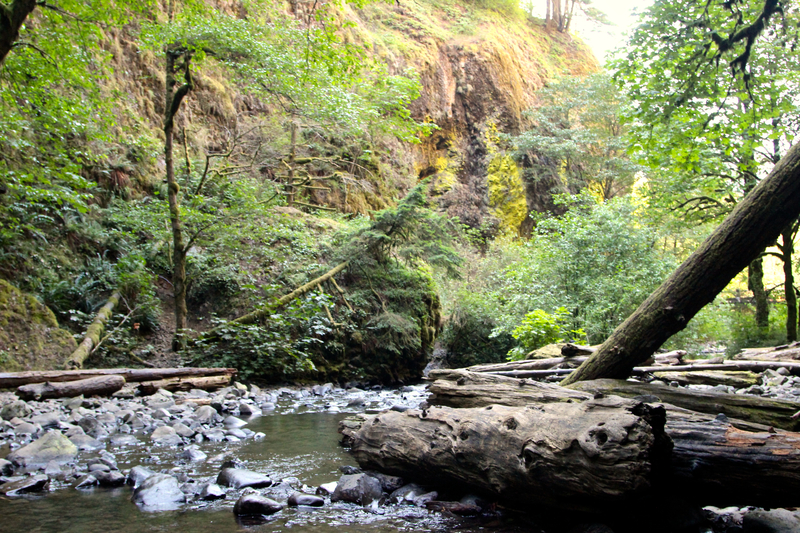 And the info on the gorge referenced can be found here.